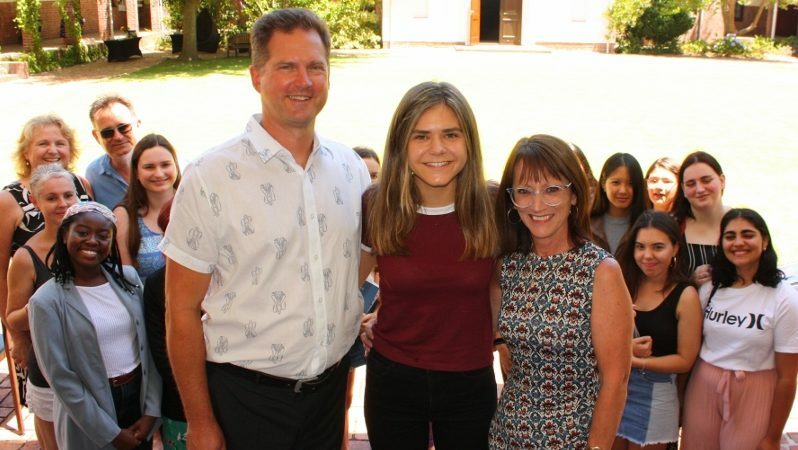 Rustenburg has a long tradition of success in the National Senior Certificate exams, and the school regularly receives awards from the Western Cape Education Department in recognition of the consistent excellence of its results over the years. The 2018 Matric class were no exception, with a 100% pass rate. 99.3% received a Bachelors pass and the group achieved 510 individual subject distinctions between them. In addition, 73 learners achieved 4 or more subject distinctions and 8 achieved a 90%+ aggregate. This year 6 individual subject averages were above 70% with 12 subject averages over 80%. We are very proud of Justine Crook-Mansour who is the Top Candidate in the Quintile 5 schools nationally. Justine achieved 7 subject distinctions with a 97.8% aggregate. For the second year in a row, in 2018, Rustenburg Girls’ High School received A MINISTERIAL AWARD FOR ACADEMIC EXCELLENCE at the Western Cape National Senior Certificate Awards Ceremony and is the top public girls’ school in the country.